Marriage And Millennials: Why Do Generation Y Couples Say 'I Do' To Matrimony? At no point during a six-hour conversation about summer blockbusters, architecture and the appeal of Leonardo DiCaprio did Ariba Hasan Bader think she was going to marry the man sitting in front of her -- even though the prospect of marriage had brought them together. "I was nervous, but I started talking to him like a friend. We didn't discuss anything about marriage," she says. "I didn't think this was going to be 'the one' — you usually go through many other people. But for me, he was the first one I met." Ariba and her husband come from Indian and religious backgrounds. After seeing her parents’ successful and loving partnership come out of an arranged marriage, Ariba knew dentist Zishan Bader, six years her senior, was the kind of husband she was looking for, and having her parents make the decision made her feel more secure. Shortly after their meeting, the former Mississauga, Ont. resident, now 21 and living in Chicago, agreed to marry Bader. Their six-hour chat in August 2010 led to a short phone call the next day between his grandfather and her father, as is customary in some Muslim cultures. Ariba's father said yes. His daughter didn't find out for two weeks. Although frustrated at first, Ariba started exchanging text messages with Zishan, and it wasn’t long before she started to fall in love with the man she was already supposed to marry. The couple made it official in July of 2011 in Mississauga, Ont., at a lavish wedding with more than 600 people. With the general trend showing both men and women getting married later or opting out of the practice altogether, why are some young couples still taking the plunge? There are growing numbers related to marriage in Canada, but not in the number of couples who unite in matrimony. Statistics show a distinct pattern of fewer marriages and more common-law relationships -- it's the age at which Canadians are tying the knot that's on the rise. The average marrying age for a man is 31.1 years old, and 29.1 for a woman, the highest it’s ever been in Canada. When Boomers and Generation Xers were in the same stage of life, twice as many were married, according to Paul Taylor, executive vice president of Pew Research. 2008 marked the lowest number of marriages in Canada in the past century, a trend that corresponds with all Group of Eight countries, according to the 2011 Census (see chart below). The changes in what constitutes a marriage or long-term partnership in Canada are now so widespread that the government has decided to stop keeping data on marriage and divorce after 2008, reports The Globe and Mail. Despite the trends, members of the Millennial Generation are still overwhelmingly in favour of marriage — in an exclusive poll for The Huffington Post Canada conducted by Abacus Data, 63 per cent of Canadians aged 18 to 30 said they wanted to get married someday. Both a belief in the value of marriage and family pressure to tie the knot played a role in millennials’ interest in the institution, according to Abacus, which surveyed 1,004 Canadian millennials between Oct. 23 and 25 -- but experts say getting married young is out of the ordinary. Liene Stevens, a New York-based wedding consumer behaviour expert and owner of marketing consulting agency Think Splendid has found couples who get married at 25 or younger tend to be religious, or have an upbringing where religion plays a big role. “For people who grew up in these sub-cultures but don't share the religious beliefs themselves, the practice of getting married young still spills over simply because that's the way things are done where they live,” Stevens explains. Author Reva Seth, who has written on arranged marriages and on women balancing family and career, has seen another trend emerging. And while celebrity unions like Kim Kardashian’s 72-day marriage may suggest a more blase attitude toward such commitments, other pop culture influences -- like the grand hoopla around the marriage of Prince William to Kate Middleton, for example -- could be romanticizing the notion once again. Happier Than Ever... Happily Ever After? And could there be a more romantic reason for marriage than love at first sight? In September 2009, Jared Walker and his now-wife Miranda met at their friends' wedding where they were attendants for the couple. The mishap didn’t keep the two from falling quickly falling in love, even though Miranda Walker, an arts and contemporary studies student from Ryerson University in Toronto, never thought she would get married in her early twenties. “I definitely always wanted to get married but I had so many other things that were a priority at that time,” she says. 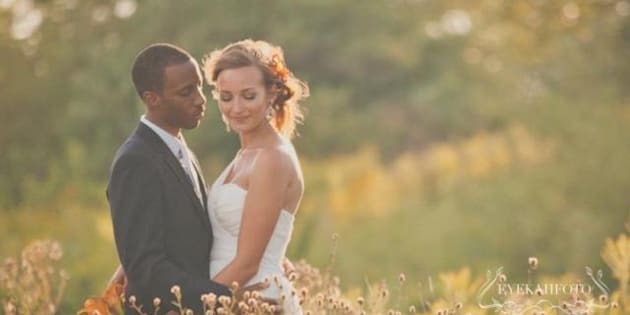 “As I got to know him, it became clear to me that if we did get married, our lives would very easily come together, and I wouldn’t have to sacrifice anything,” Miranda says. While love may be a primary reason for young couples to wed these days, marriage has long had as much to do with starting a family as anything else. But with the Millennial Generation feeling increasingly ambivalent about the need to be married before having children -- 67 per cent of Canadians aged 18 to 30 disagreed with the notion entirely, according to Abacus -- where are kids fitting into the picture? For Seth, whose upcoming book The MomShift: Finding Opportunity In Maternity looks at moms who opt for kids first and job later, the tide is shifting away from the career women who put off having children until their mid-30s toward those who are becoming mothers in their 20s. Parenthood is a priority for many millennials, as a 2010 Pew Research survey discovered, where “having a successful marriage” was only considered a priority by 30 per cent of 18-to-29 year olds surveyed, but “being a good parent” was important to more than half of all respondents. Ironically, a successful modern marriage and the way a relationship is balanced now versus previous generations can make the decision to become young parents easier and more viable than before. This certainly bucks the older-parent trend reported across the news, but Seth thinks it’s exactly these publicized stories that are influencing a sea change. “It’s a response to the challenges of the generation ahead, when it comes to fertility and those issues," she says. "[The millennials] presume that they’ll be accommodated, and they’re often right -- a lot of companies work to retain talent." Amanda Wilkins says she knew which route she wanted after she experienced an ‘a-ha moment’ at the age of 20. Wilkins, 26 and expecting her first child, married at 23 to Alex Wilkins. “I always knew I wanted to have kids and be a stay-at-home mom," says Amanda, a marketing manager of the IDP group in Oshawa, Ont., "I understand why women want to go into their careers — my dad was always very business-minded with me — but that for me was always a fallback,” she says. The couple met on Lavalife.com in 2008, and squeezed in an engagement, a new home and a wedding by July 2010. Both felt they were ready to start a family, and although their families were supportive, Amanda says her parents’ defunct marriage played a role in how she wanted hers to turn out. “Both of our parents are divorced,” she says. “After seeing the relationships our parents had, we didn’t want that. It gave us a reverse aspiration." The Wilkins are up against some hefty odds. Nicholas Wolfinger, author of “Understanding the Divorce Cycle: The Children of Divorce in Their Own Marriages,” cites a 50 per cent greater chance of divorce when one partner’s parents are divorced, and a 200 per cent higher risk when both are. Meanwhile, formal studies on the topic have found chances of divorce go up to 60 per cent (versus the average 50) when the couple marries between the ages of 20 to 25. Therapist Vikki Stark blames the demise of some young couples on a lack of 'me' time for exploration and personal growth. Divorce isn't the only influence young couples glean from their parents -- their propensity to pair up at an early age can also be inherited. Millennials certainly appear to want only one wedding. A 2012 study from Clark University found that 86 per cent of people — single and married — between the ages of 18 to 29 expected their marriages to last a lifetime. And for some millennials, that means making a commitment at a young age. Suzette Beliveau, a 23-year-old production assistant and reporter at CTV Atlantic News in Halifax, still remembers when her knight in shining armour came to pick her up in a white Ford Ranger truck. Aaron Tweedy, also 23, is on a six-month mission with the Royal Canadian Navy, one of the reasons the couple decided to take their relationship to the next level. Tweedy agreed. After making the engagement official that night and sharing the news with excited family and friends, Beliveau is planning her wedding for October in Halifax, while trying to keep her fiancé updated through emails. Ariba Hasan Bader is also adjusting to change. Now studying architecture at the University of Illinois with 18 months of married life behind her, Ariba finds that living in a new city with a new person isn’t as easy as she thought it would be. She feels like reality has hit her. The challenges of getting married young can be enormous, says therapist Stark. But, she adds, those same qualities can mean a lifetime of happiness. Certainly for these young couples, many of whom are already going against the grain of their generation with full-time jobs and specific career paths, that seems to be the case. While a HuffPost Canada and Abacus survey found most millennials were concerned about their job prospects in the future, these couples — and undoubtedly, many more like them — are forging a different path, one that doesn’t look all that different from the shape their parents' lives took. Ariba says marriage is traditional for her, but she still feels like herself. Both her parents and in-laws are important to her, and even though she does most of the housework with her mother-in-law, she’s happy to be in school and continues making compromises with her husband. “I’m not like Cinderella mopping the floors, but there is a responsibility that comes with marriage,” she says. For Beliveau, maintaining traditions isn’t about following specific gender roles, but rather, relying on each other when it comes to decisions. She and her fiance are living together before the wedding, and in their household, the division of chores depends on preferences. Both Ariba and Beliveau are ambitious and career-driven women, and believe being married won’t change this. What do you think about this story? Join the conversation below or tweet us @HuffPostCanada with the #AskingY tag. We may feature your comments in an upcoming post. You can also check out our Tumblr, and our dedicated page for more from the Asking Y series.